Singapore’s tea culture is a combination of its Malaysian heritage and British colonialism with a distinct Chinese influence where you can easily skip from teh c for breakfast, Earl Grey for high tea and a pu’er with dinner. When visiting my brother in Singapore I like to frequent its tearooms and teahouses, so here’s a (by no means definitive) guide to Singapore venues that serve quality leaf. Please note this section covers venues where you can sit down to enjoy tea. The koi pond in the foyer says it all. This beautifully appointed terrace house is home to a number of different tea ‘zones’, with upholstered booths, a modern European tea room and a tatami-lined Japanese style area on offer. 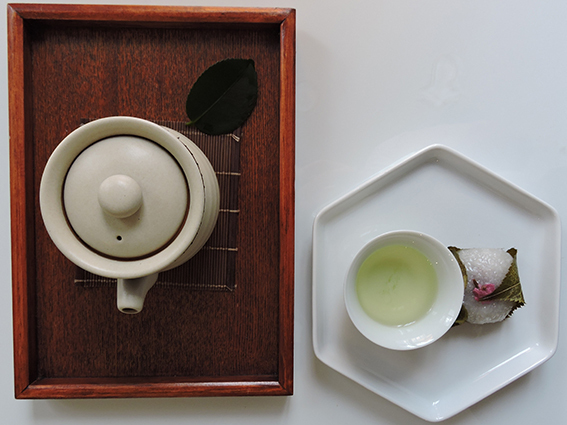 The tea degustation, which pairs artfully prepared food with high grade tea, will give you the full Tea Bone Zen Mind experience. 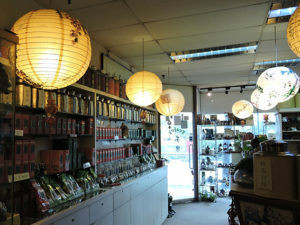 There is a small boutique on the ground floor where you can purchase tea to take home. By appointment only. 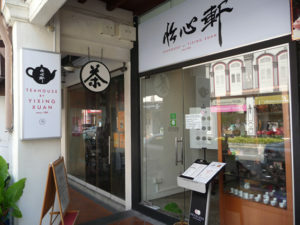 Singapore’s favourite traditional teahouse is a two-in-one affair with an extensive retail space on the bottom floor of the complex and a series of tea rooms—Western (chairs), Korean (sunken floor) and Japanese (tatami)—for you to brew and enjoy the tea and snacks on offer. Queen Elizabeth II honoured the teahouse with a visit in 1989 (and they won’t let you forget it). The tea is decent to high grade and an assistant will teach you how to brew it if you’re a beginner. 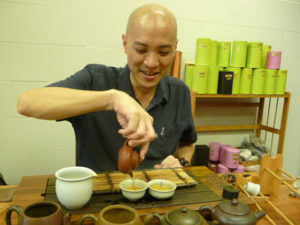 If you’re in Singapore for a while you can also sign up for a tea appreciation class. Teajoy is mostly a shop with some seating at the back if you want to hang around to sip some tea. There’s some decent tea but nothing exciting or remarkable. The teaware is pretty good quality. The service was standoffish at first and the atmosphere a little dull but mostly I had to get out of there because there was a very strong smell of mothballs. Maybe you’ll have better luck? 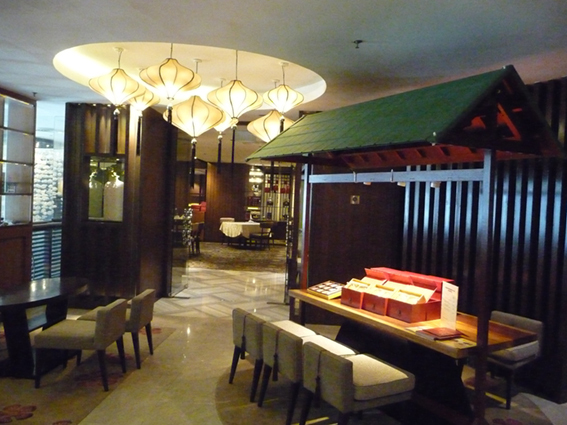 Situated within the Si Chuan Dou Hua restaurants at two Parkroyal locations and UOB Plaza, the Tian Fu Tea Rooms are traditional Chinese restaurants with a solid tea menu rather than tea-drinking establishments in their own right. The tea is of decent to high quality, with a reasonable range, but it’s the ambience and decor that stands out. 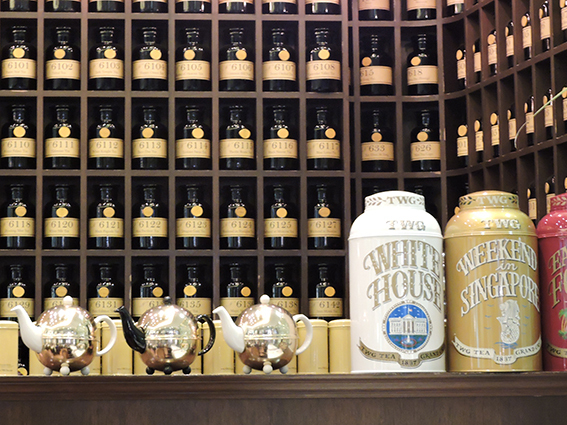 The pricing, locations and the European finishings in the TWG Tea salons suggest the brand is aiming for upper class clients and I can’t help but notice the Singapore brand owes more than a great deal to Parisian institution Mariage Frères in both style and service. That being said, the range of tea is massive, though to a large extent driven by its blended and flavoured concoctions. The food tends towards western delicacies such as macarons, which are decent but not extraordinary. 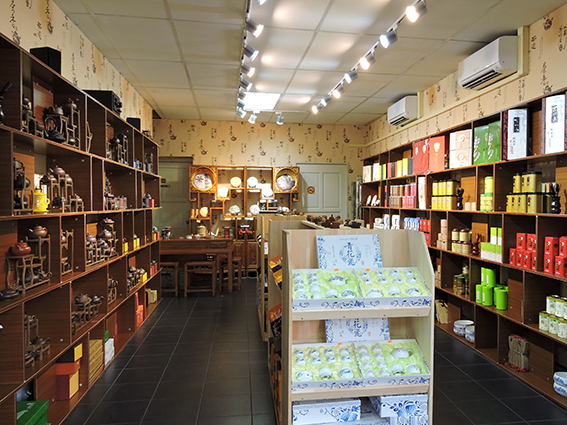 Go for the salon de thé experience rather than the tea. Run by a father-daughter team, Yixing Xuan is an unpretentious teahouse removed from the clamour of Chinatown but still with a nod to Chinese traditions. 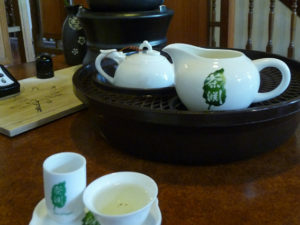 Tea is served in a cup infuser (free hot water refills) and you can order dim sum to accompany your beverage. 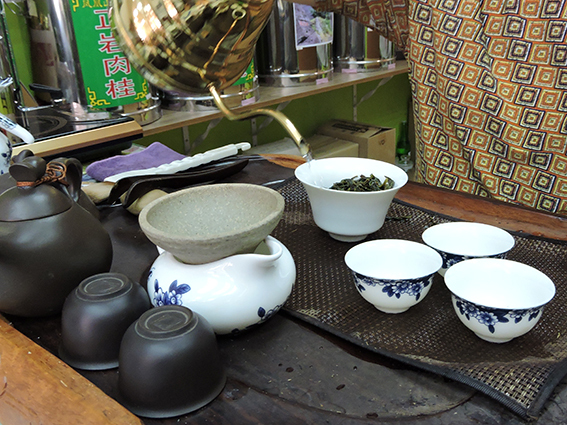 It offers a decent spectrum of Chinese and Taiwanese tea to buy, with a sizeable segment of oolongs and teaware. If you want to learn more you can take a workshop which combines Tea 101 with traditional tea brewing and tasting. Please note this section covers a variety of tea retailers. If you can’t read Chinese (I can’t) the name of this store won’t be any good to you because the English translation is tucked away on a side panel. 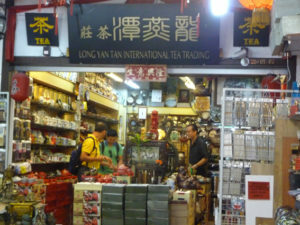 In any case, this retailer offers some cheap and cheerful teaware and a range of decent quality tea, a lot geared towards tourists (e.g. jasmine pearls). Enquire a little harder for more unusual stuff, which the staff are happy to brew for you to try. I found some lovely aged bai mu dan here, for instance. A step away from bustling Sago Street, Enjoy Tea suffers from its fair share of ‘lappers’—people who come in to browse, walk around the shop and out again—due to its spare decor. Tea lovers, however, are in for a treat when Michael Teo deems you worthy of drinking what he’s drinking, a range of top and high quality leaf. His longjing and tieguanyin are my picks, but Michael has a personal thirst for rock oolongs. Teapot collectors should check out the range of exceptional ash glaze vessels. 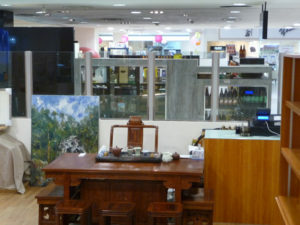 Situated in the Japanese precinct of Liang Court, Liu Xiang is a tea shop and classroom. 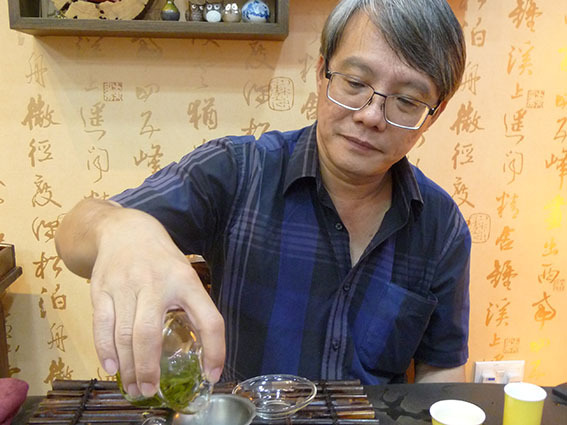 Mr Lee has several international schools and teaches Singaporeans and expats—Japanese and non-Japanese alike—different styles of Chinese gongfu cha in Japanese, Mandarin or English. The tea range is medium to high grade and the teaware affordable rather than collector pieces. Please note that the Chado Urasenke Tankokai Singapore Association is also in Liang Court (#02-11) and teaches Japanese chado. 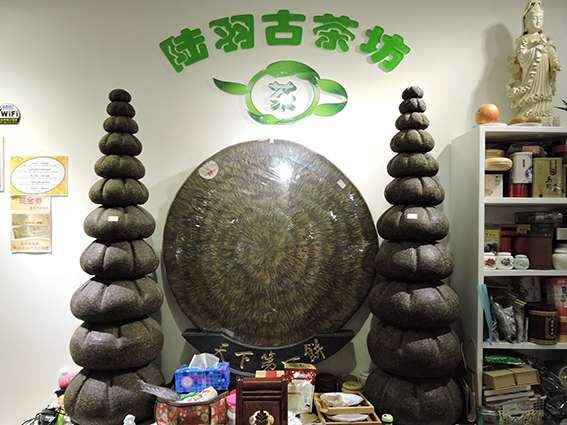 The first thing you’ll notice about Luk Yu Gu Cha House is the massive pu’er sculptures behind the tea table announcing that this little retailer takes its pu’er very seriously. Here you’ll find a large range of pu’er, sheng and shou (and blended with fruit), compressed or loose, to fit different budgets, . Many of its clay teapots are a work of art, making a magnificent gift for you or the pu’er lover in your life. Pek Sin Choon is pretty much a Singapore national treasure. 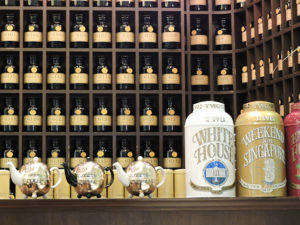 The brand has been around since 1925, older than Singapore, and is still family-run. 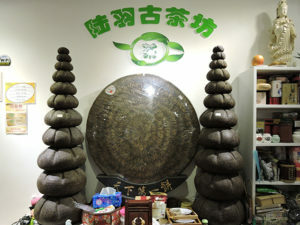 It specialises in roasted oolongs, particularly rock oolongs. 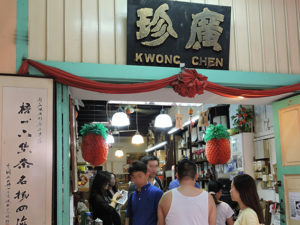 Its ‘Unknown Fragrance’ oolong accompanies 90% of the bak kut teh (pork rib soup) dished out in Singapore restaurants. 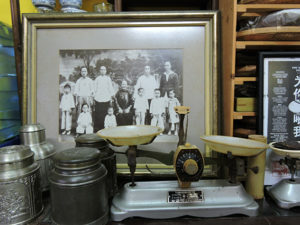 While it is not much to look at as a store (it’s set up more as a workspace), it feels like a slice of history. The semi-retired couple once upon a time travelled to world on behalf of the Singapore Government but then discovered the fragrant world of phoenix dan cong oolong, a specialty tea from the Phoenix Mountain area in Guangdong province, China. 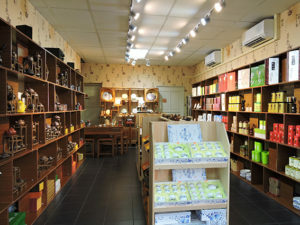 They started with a small share in some tea land and now spend their days sipping and selling tea in this Singapore boutique. Worth the trip out to Joo Chiat, try before you buy. This third generation tea merchant specialises in traditional charcoal roasted tieguanyin, which comes from Jackson Ong’s family plantation. Wang San Yang also offers decent and high grade green tea, with its Japanese products coming from Fukuoka, a secondary tea growing area rather than the more famed Uji. You can also buy basic and decorative teaware, with a small range of clay teapots available. A welcoming retail store with a range of Chinese and Taiwanese tea, specialising in Taiwanese high mountain oolong. You can ask for a taste before you buy, but be aware the tins have been pre-packed to 150g so you won’t be able to purchase small amounts. Some basic teaware for sale too. 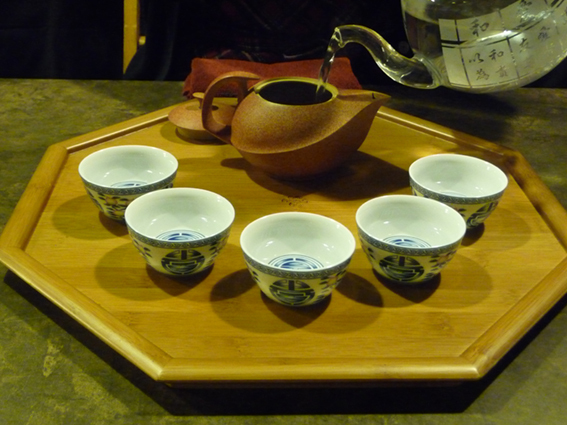 Here’s a list of teahouses and retailers I’ve heard of or passed by but did not have a chance to visit because of timing (either they were closed or my schedule was full!). Best known for being the tea supplier to Raffles Hotel, Clipper Tea also offers a bespoke blending service and a range of exotic blends and fine tea. Closed when I visited, but the write-up from the Liang Court directory suggests it is a specialist in high end pu’er tea. 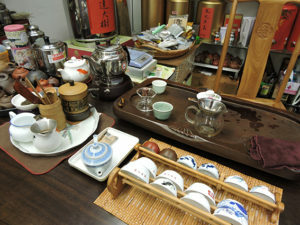 Too busy for an in-depth visit but research suggests it is a specialist in aged tea. Some teaware and accessories for sale also. Closed when I visited, but research suggests this is a very old tea merchant (founded in 1918) with a no-fuss range of pure and blended teas. 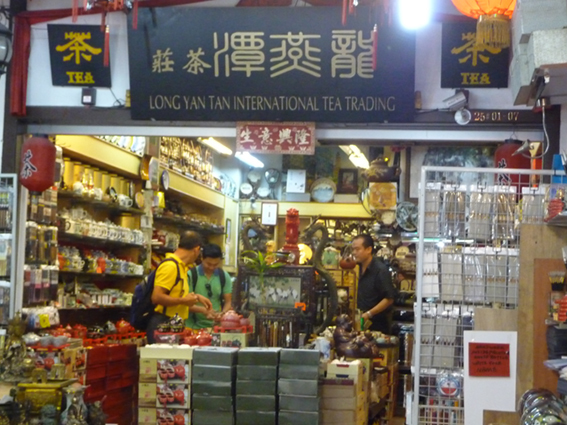 I feel bad because I pass this store on the way to and from the MRT Station and every other tea store in Chinatown and have never done more than a lap of its wares. There is a big range of inexpensive teaware and accessories but the tea on offer didn’t excite me. Closed when I visited. This is the shop’s newest address; previously it was in Block 4. Have I missed naming your favourite venue in Singapore? Maybe I haven’t been yet! Nominate it here.